Green tea varieties include Jasmine Pearls, Mao Feng, Gunpowder and other gourmet teas. 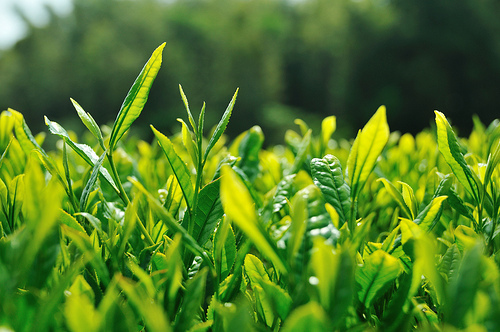 In tea production, oxidation takes place when the cell wall structures of the tea leaf are broken and the enzymes are released, catalyzing the oxidation process. Oxidation alters the flavor of the tea, and develops the color. Green teas are lightly colored because they are essentially non-oxidized—making it a rich source of antioxidants and other beneficial compounds.